You don’t have to travel all the way to Spain to enjoy a glass or two of their favorite adult punch. If you are in Toronto, you will be more than just a little surprised how many choices you have. Sangria is enjoyed the world over as one of the most classic of summer drinks outside the margarita. The first summer you have, grab a seat at one of these Toronto locales to appreciate the taste of Spain north of the border. Milagro has three locations to choose from throughout Toronto proper, so you are sure to come across one of them when you are out and about exploring the city. They offer quite a few options when it comes to Sangria, but their most popular by far is the Sangria Gringa. Order by the glass or by the pitcher. This Sangria packs quite the punch with not only wine, but also mescal and bourbon. The Drake Hotel’s Sky Yard is teeming with options of Sangria with both white and red varietie and is the perfect setting to kick back with your own individual mason jar of macerated seasonal fruit and wine. The white Sangria is a perfect combination of wine, Tromba tequila, and refreshing grapefruit. Patria is fairly new to the Sangria scene in Toronto, but they have a wonderful selection that is sure to tickle your fancy. They poach their fruits in both white and red wine to make their Sangria. The red Sangria is an interesting and thirst quenching combination of spiced poached pear reduction with port and sweet vermouth. The white Sangria has poached apple, mixed apple cider and Lillet Blanc. Perhaps you should have a glass of each. 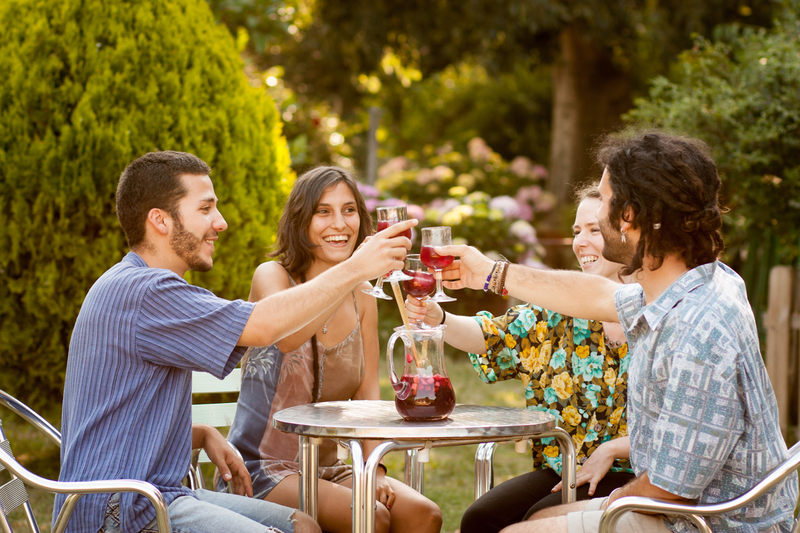 All of these locations offer their own unique interpretation of Sangria. You’ll just have to get out there and try them all too truly make an educated decision on who has the best. That’s not a bad way to spend a few days in my book, especially as you are trying to make an informed choice.